Hey Lovelies! We have been spotting a trend that we absolutely love, a pink Christmas! Little pink Christmas details are popping up everywhere. 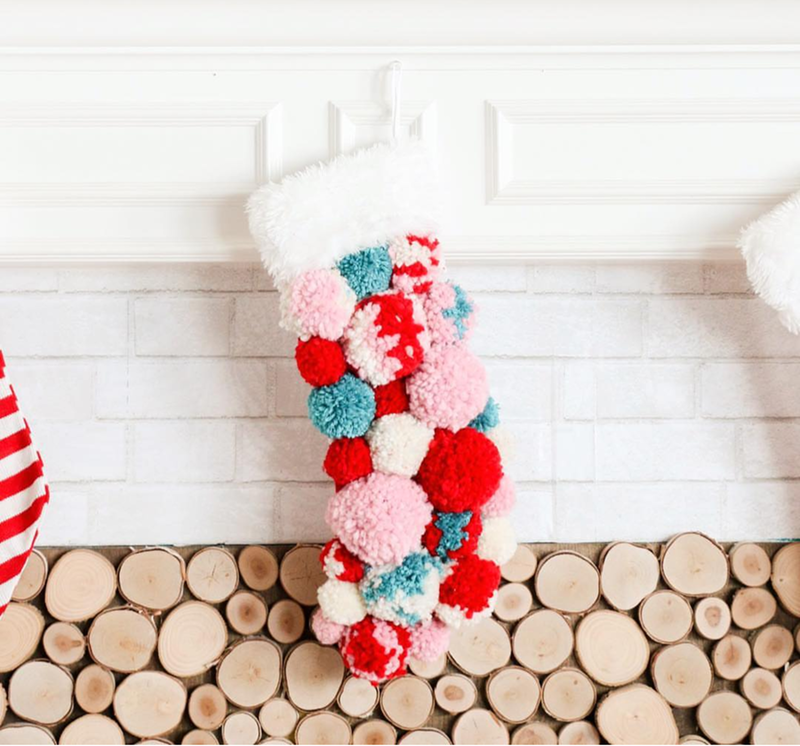 From Christmas cakes to Christmas table runners, Christmas stockings and Christmas mantles, pink is front and center and we are totally loving it! 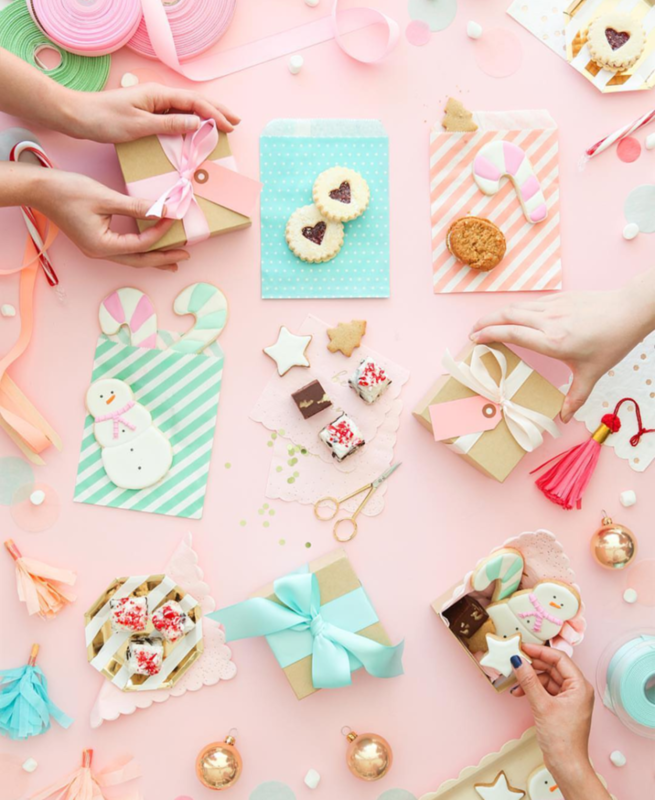 We have rounded up our favorite pink Christmas ideas that we know you are going to love too! 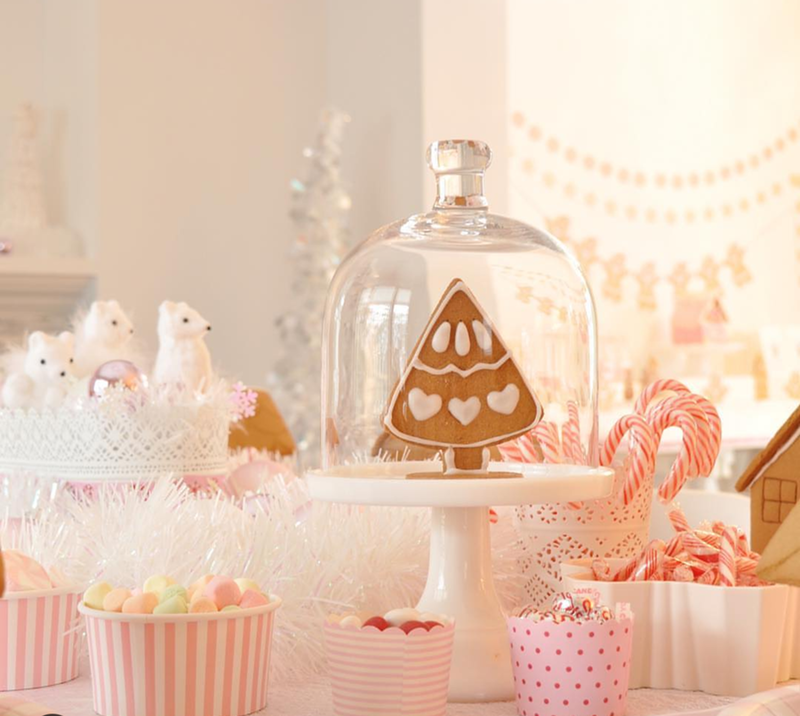 Love this pink gingerbread decorating Christmas party we spotted from Enchanted Parties Montreal. 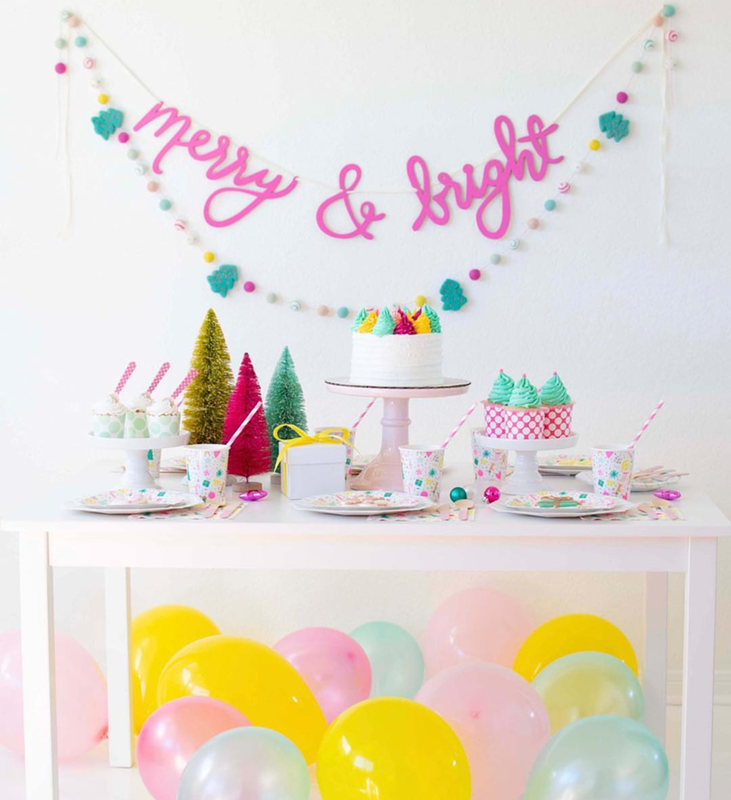 Look at all of the cute pink touches at this Christmas party pic by Oh Happy Day! Look at this darling pom pom stocking with cute colors of teal, red and pink we spotted on A Beautiful Mess. 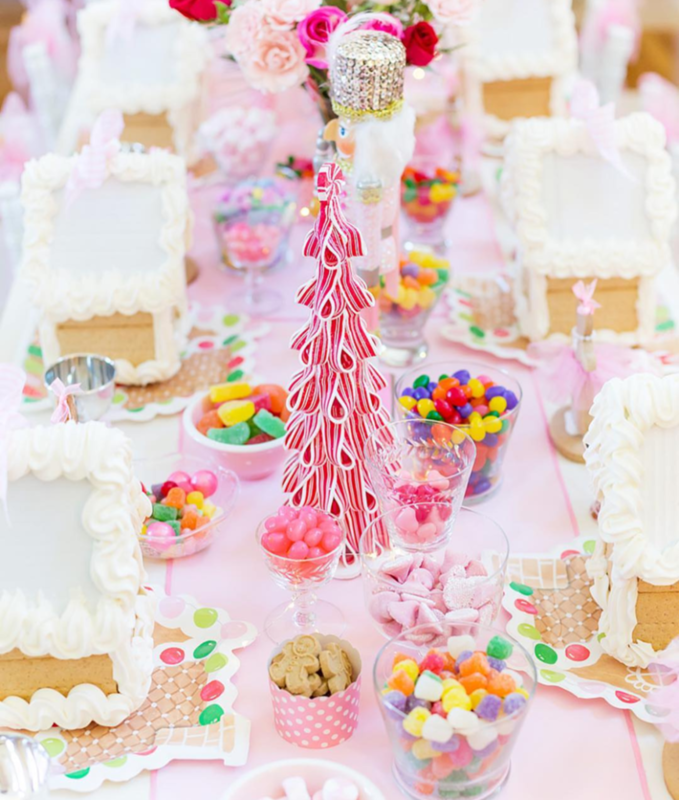 The pink has just the right pop that this gingerbread house party needed from Pizzazzerie! 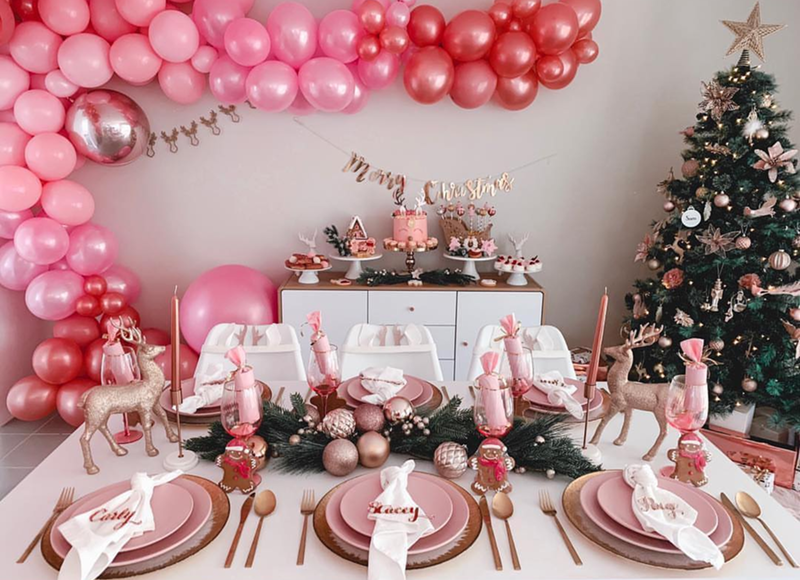 From the pink plates to the pink wine glasses, pink balloon garland and pink reindeer cake, this Christmas party from Kiki Pupo is truly amazing! We are GAGA for this Christmas table runner with lush leaves and gorgeous Christmas ornaments with pink accents from Kara’s Party Ideas. 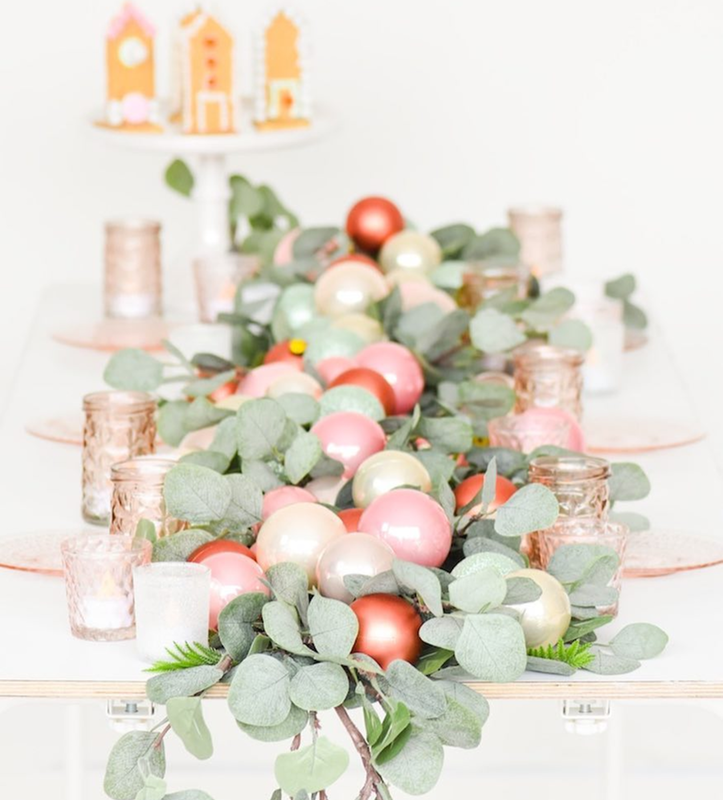 We love this fresh take on a Christmas party with pinks and teals! So cute and trendy from Twinkle Twinkle Little Party. 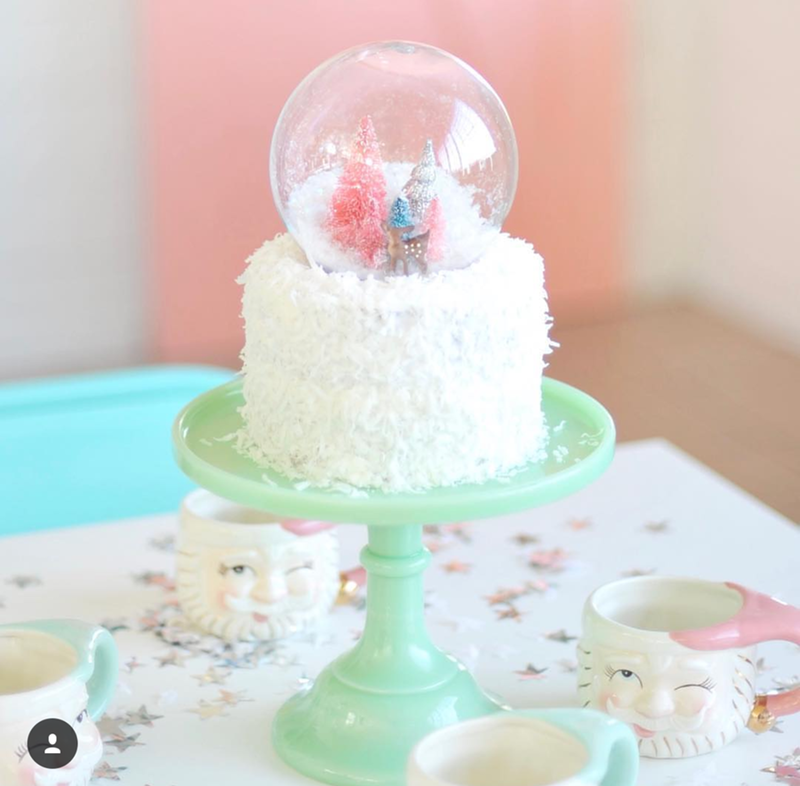 All of the pastels in this cake topper and darling Santa mugs including the amazing pink is just too cute from Happy Wish Company!! 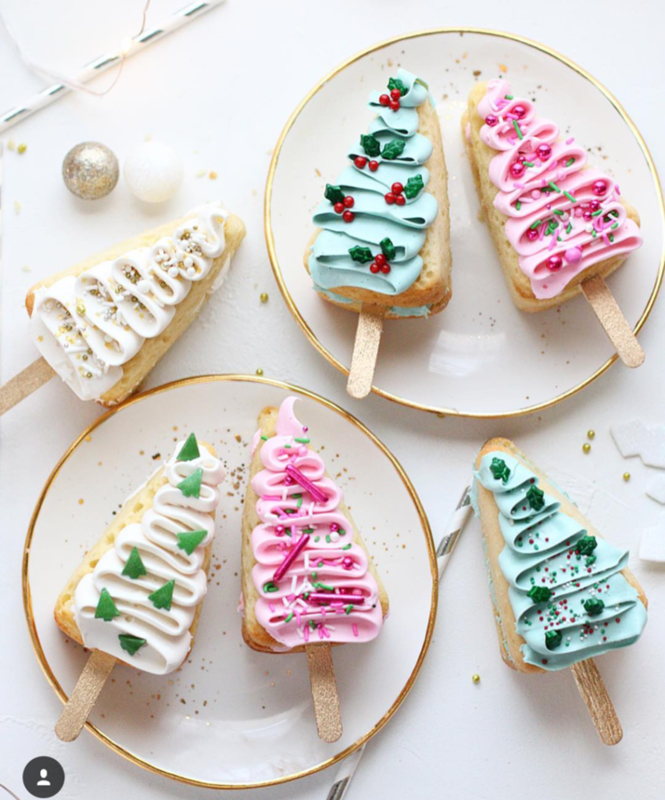 We love these green and pink Christmas Tree desserts from Christina’s Cupcakes! 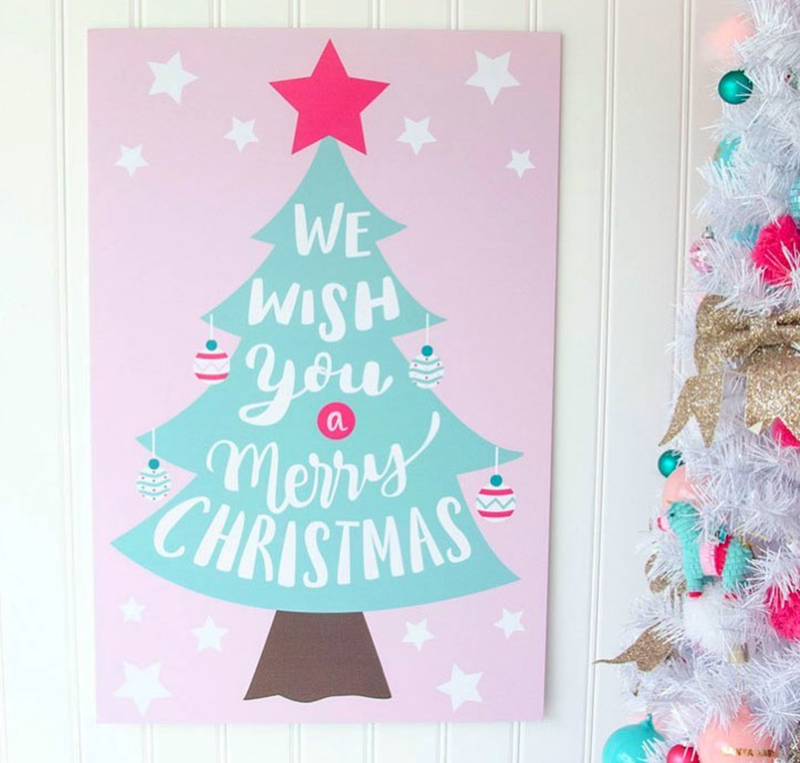 This We Wish You a Merry Christmas sign with its pink and aqua accents from Love The Day. 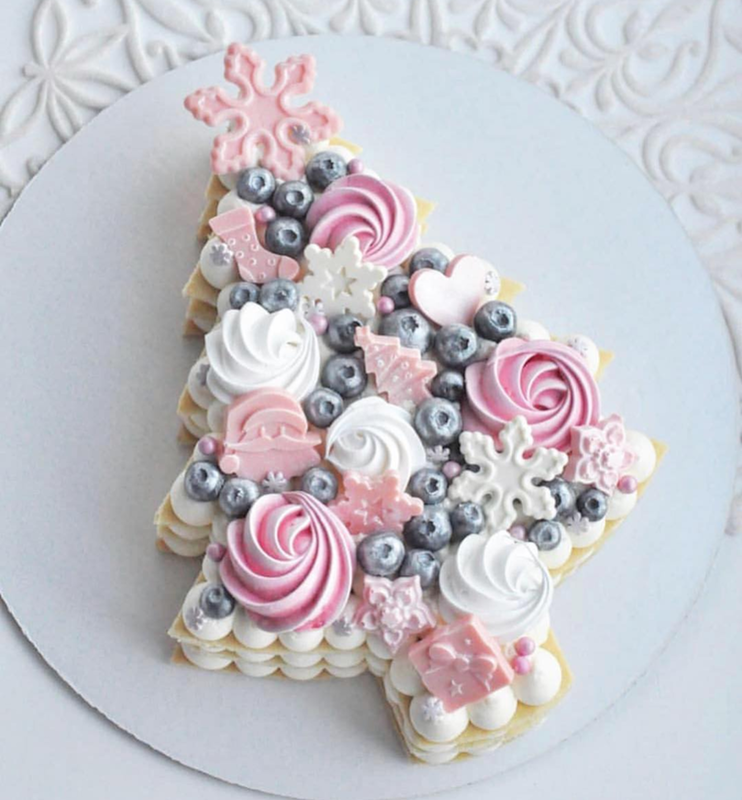 If you know us, you know we LOVE this new cookie stack cookie cake trend, this pink Christmas Tree cookie stack with Santa faces and snow flakes from Tauluba is darling! 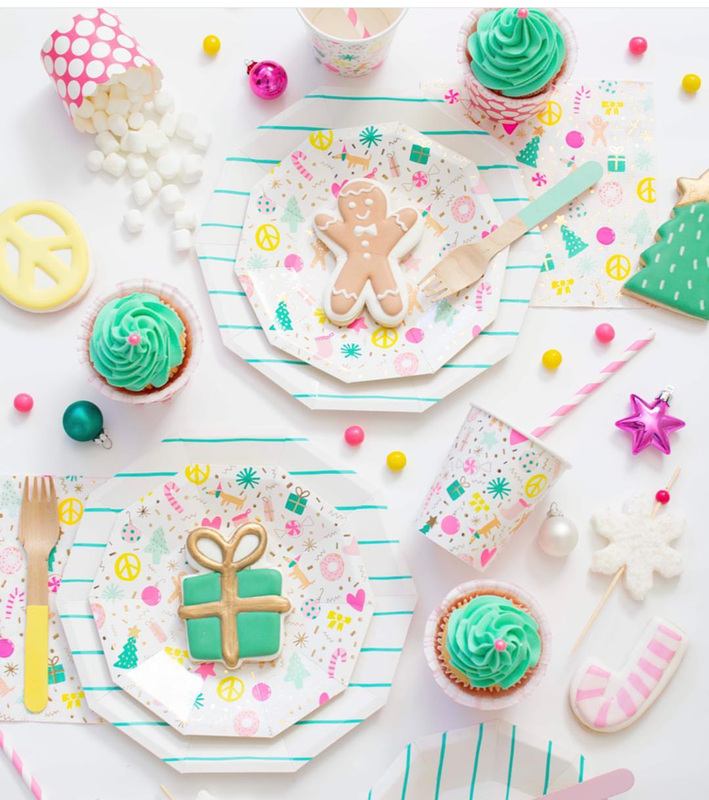 Look how cute this pink infused Christmas party set we spotted on Twinkle Twinkle Little Party. 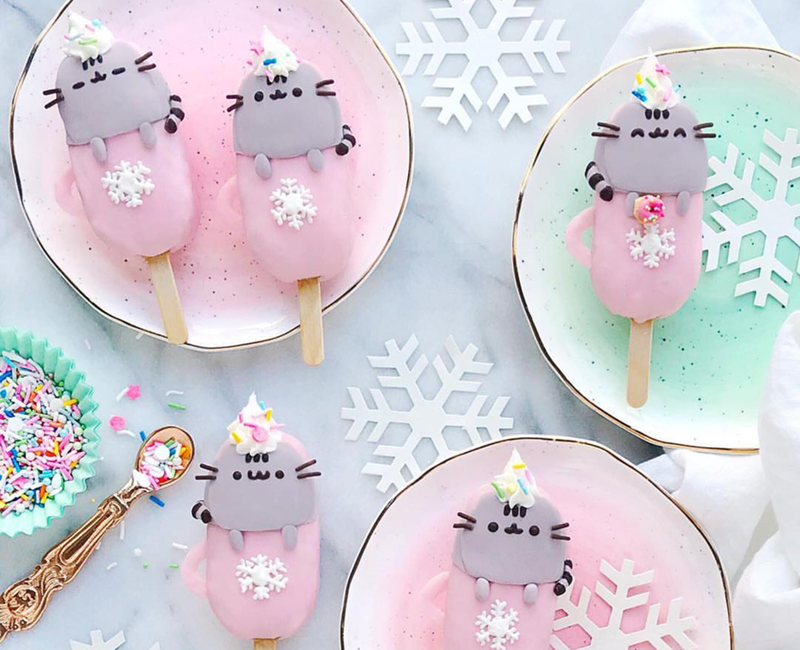 These by far are the cutest Christmas treats with cats in pink Christmas mugs from Luxe And The Lady ! Even Christmas decorations are turning pink! 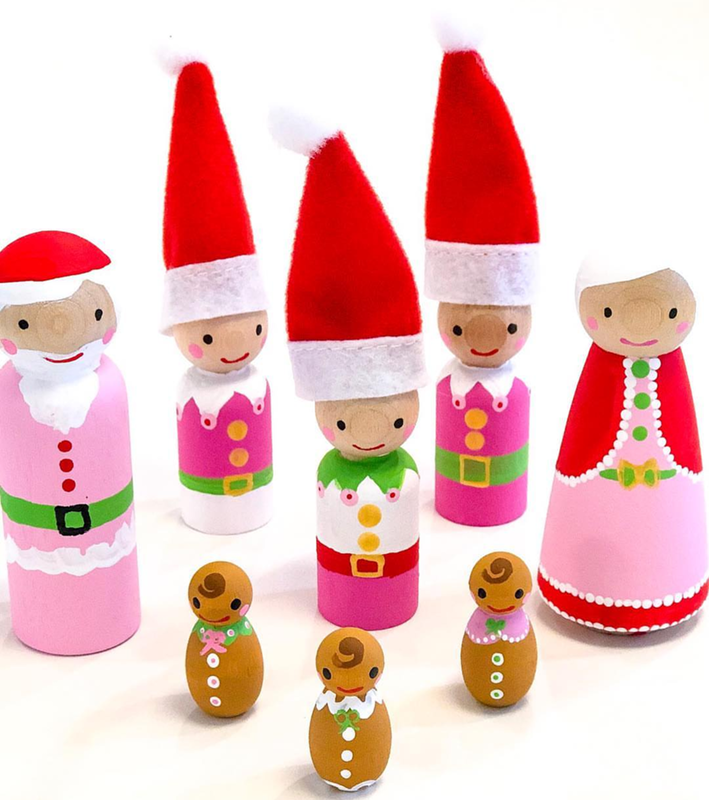 Santa and his elves are getting an outfit refresh with adorable Christmas pink look from The Party Wagon! 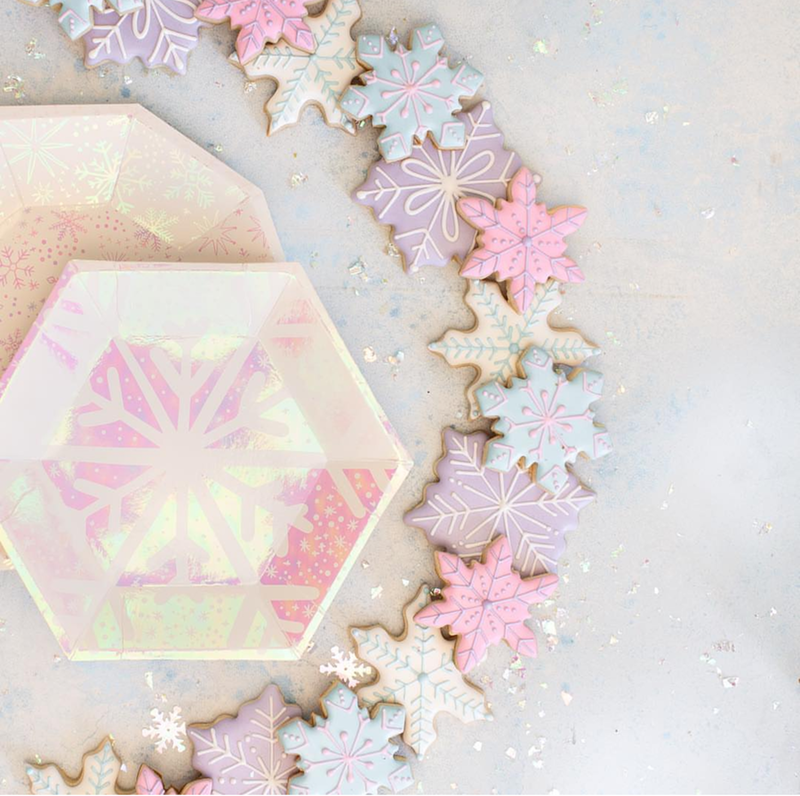 We love all of the colors of these snowflake cookies from But First Party for Christmas but the pink and purple ones are our favorites! 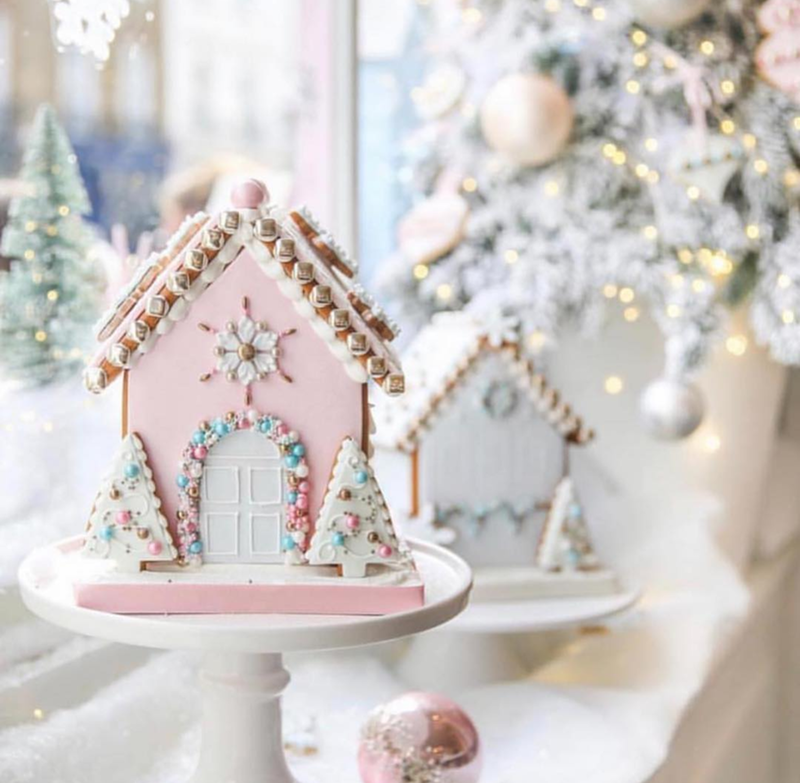 Even Gingerbread houses are getting a makeover with pink! Look at these beauties from Peggy Pouschen! 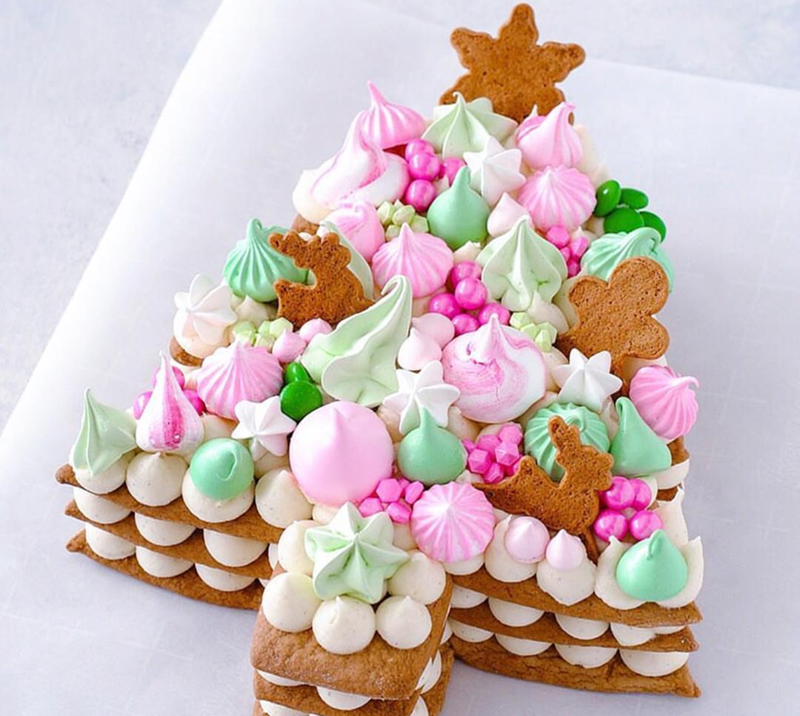 Here is another seriously lovely Christmas Tree Cookie stack cake that has all sorts of adorable pink details on it that we just LOVE from The Cake Blog.